Scoutreach is a division within the Atlanta Area Council with an emphasis to recruit passionate adult leaders and to develop strong relationships with organization in urban, suburban, and rural areas, removing barriers to ensure that all youth have the opportunity to join Scouting. The Atlanta Area Council is dedicated to ensure that every child has an opportunity to join Scouting, no matter their circumstance. 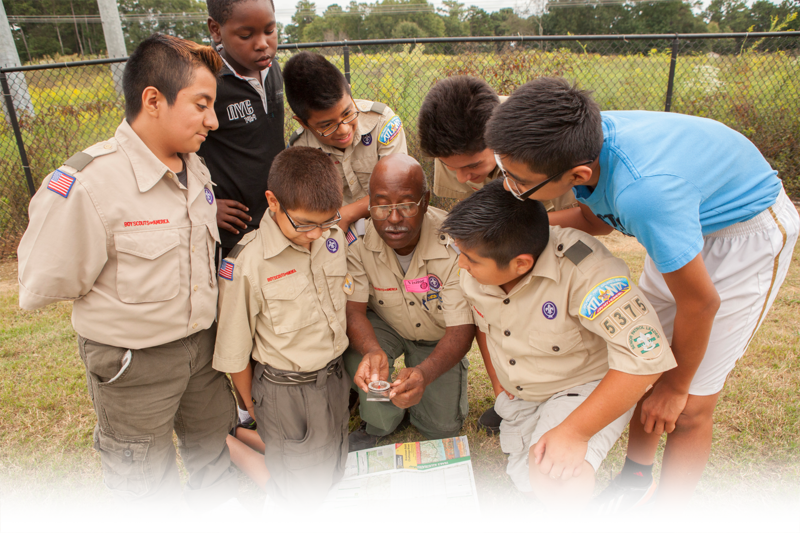 Scoutreach assistance can provide camperships, uniforms, handbooks, transportation, and leadership of a Scout unit. Learn more about Scoutreach from the informational video below or by downloading the Scoutreach brochure. The mission of the Hispanic Outreach program is to create a multigenerational tradition between Scouting and the Hispanic community in which Scouts and their parents strengthen family and community bonds through participation in the Scouting program. Scoutreach helps to breaks down ethnic, financial and language barriers in order to provide Scouting for the Hispanic community. The Council has bi-lingual professionals and training materials in Spanish to better serve the Hispanic Community. Through many community partnerships these youth are provided financial assistance when needed in order to buy uniforms, handbooks, and attend camp. Click here to access more Spanish resources. If you have any questions regarding our Scoutreach or our Hispanic Emphasis program, please contact Faye Hammonds, Scoutreach Director at 770-989-8820. A top priority of Scoutreach is to strengthen and develop long-term objectives by recruiting and training top level volunteers. Community partnerships will also be strengthened by educating churches, civic organizations, other non-profits, and school leadership on the benefit of Scouting for youth and their organization. Each year volunteers are awarded the Whitney M. Young, Jr. Service Award for their dedicated involvement in the development and implementation of Scouting opportunities for youth from low-income backgrounds.